One room was better maintained that the other. We had booked two jr suites. Beds are always fresh as well as The rest rooms ! Very tidy! Very Japanese ! Everything I could possibly need was provided and more. Great modern amenities and a perfectly clean hotel room. Lovely complete Japanese style bathroom. Location was so close to the train station, very convenient. We loved his place! Super friendly stuff, clean rooms, big rooms and bathrooms, we really loved the hotel! Hundred stay is a very warm welcoming place to its guests staffs are extremely kind. Breakfast is awesome breakfast time is 7-10 Am but the staffs did not complain even if the guests stay more than 20 minutes after10 . Train routes will be quite confusing when you go first to this hotel ,you have to use JR line ,there is shin okubo station and okubo station the nearest one is okubo station.So ! from Shinjiku station find Jr line and then find track number 1. from that track the train will go okubo station , then you have to walk for about 2 minutes .you will feel happier if you learn to use the train routes here .this place is awesome . Very spacious room with separate shower and toilet. Great amenities. We were looking for a hotel with gym and this was basically the only choice for a decent budget. Their gym is small but enough for short workout. Location is near to Ogubo station with JR line, one station from Shinjuku. Breakfast is included in the price. 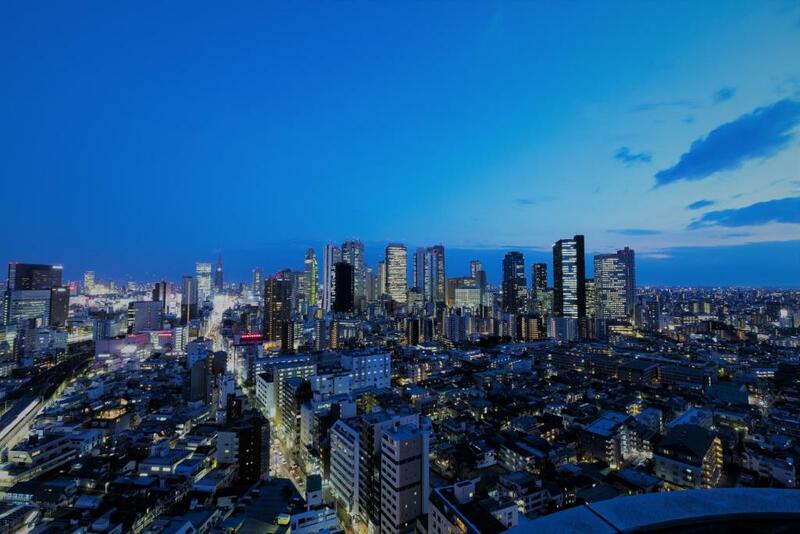 Lock in a great price for Hundred Stay Tokyo Shinjuku – rated 8.7 by recent guests! 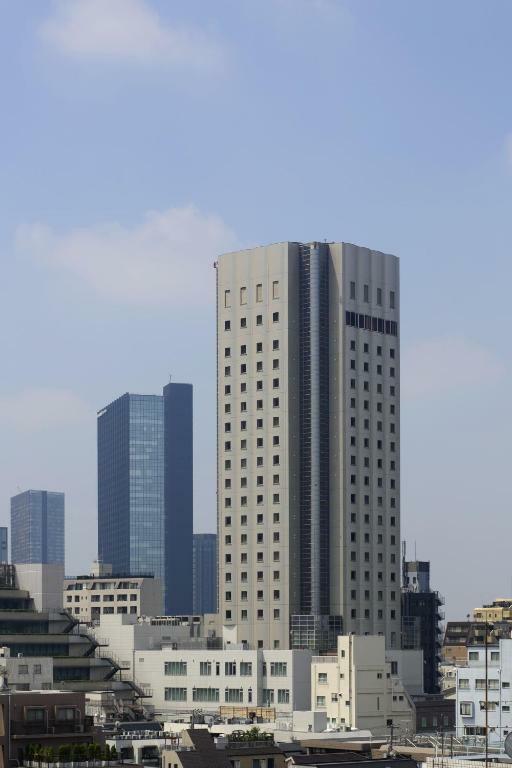 Hundred Stay Tokyo Shinjuku This rating is a reflection of how the property compares to the industry standard when it comes to price, facilities and services available. It's based on a self-evaluation by the property. Use this rating to help choose your stay! Renovated in February 2015, Hundred Stay Shinjuku provides modern service apartments with flat-screen TVs and free Wi-Fi. 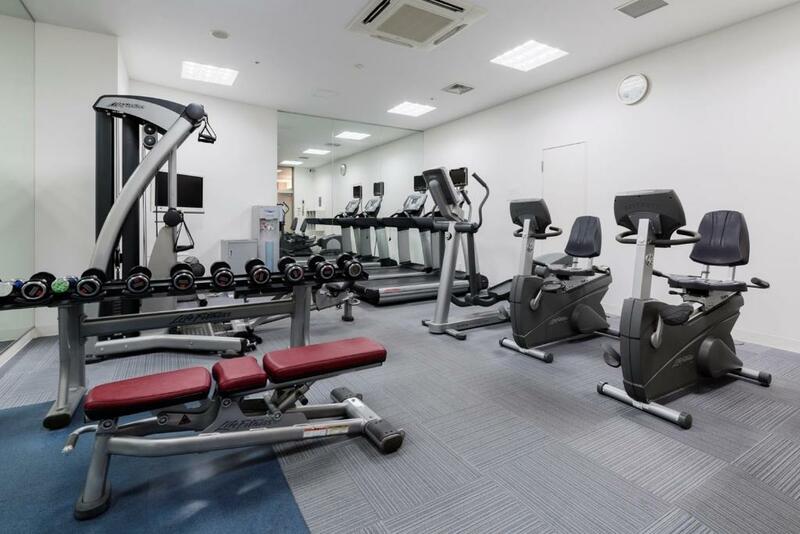 Featuring a fitness room and cafe, it is a 3-minute walk to JR Okubo Train Station. 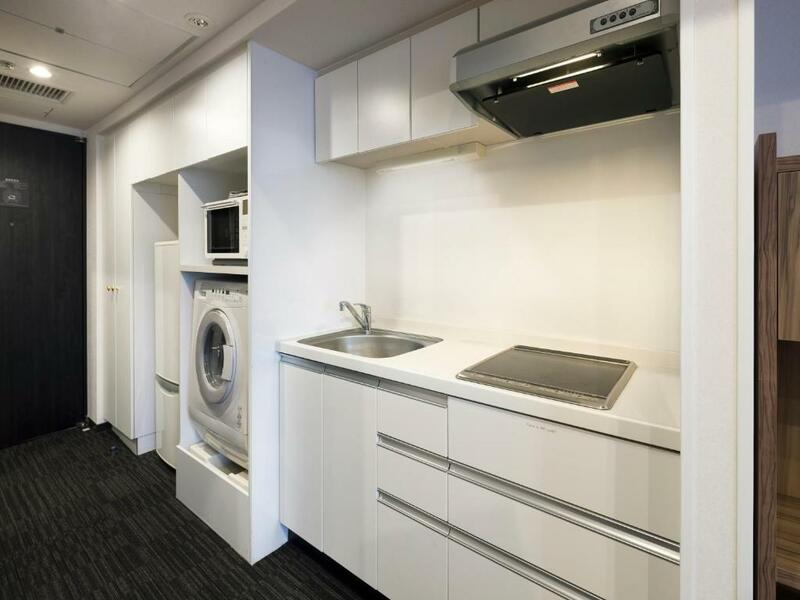 One- and two-bedroom apartments at Hundred Stay Tokyo Shinjuku come with a fully equipped kitchen, living room and washing machine. All rooms include a microwave, fridge and private bathroom. Guests can watch a DVD or relax in the bathtub. From nearby Okubo Station, Shinjuku Station is 1 train stop away, and Tokyo Station is a 25-minute ride. Shin-Okubo Korea Town is 1,650 feet away. The lively Kabukicho area is a 15-minute walk. The hotel’s business center features free internet access and a library. Laundry services are available and a concierge is on call 24/7. A simple breakfast of bread, cereal and beverages are provided in the café daily. A private room lets guests hold private parties or meetings for free. 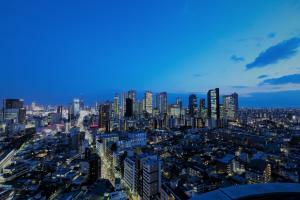 When would you like to stay at Hundred Stay Tokyo Shinjuku? This double room features a DVD player, air conditioning and microwave. This double room has a microwave, flat-screen TV and DVD player. This twin room features a sofa, DVD player and air conditioning. This twin room has air conditioning, DVD player and microwave. This double room features air conditioning, microwave and DVD player. This double room has a electric kettle, microwave and DVD player. This twin room features air conditioning, microwave and DVD player. This twin room has a microwave, flat-screen TV and air conditioning. This suite features a DVD player, air conditioning and microwave. This suite has air conditioning, DVD player and kitchen. This family room has air conditioning, microwave and DVD player. This suite features a microwave, air conditioning and DVD player. This suite has a DVD player, microwave and kitchenware. All the rooms are functional and stylish, they are excellent in designer characteristics. The location of the hotel is wonderful and only one stop to downtown. You can easily access to anywhere in Tokyo and suburb. Our receptionists speak English fluently, so we will assist you Promptly during your stay. Meanwhile, The most notable thing is we are very close to each guests. We are friendly. HUNDRED STAY TOKYO SHINJUKU is always standing by you. It's our pleasure to support you while you are staying in Japan. HUNDRED STAY TOKYO is located in Ethnic Town. You can explore Asian culture. It's worth to taste Asian cuisine of each country. House Rules Hundred Stay Tokyo Shinjuku takes special requests – add in the next step! All children under 2 years are charged JPY 3000 per night in a crib. Hundred Stay Tokyo Shinjuku accepts these cards and reserves the right to temporarily hold an amount prior to arrival. From Shinjuku Station, take the Sobu Line (in yellow) toward Mitaka. Go 1 stop to Okubo Station. Take the North exit at Okubo Station. Location good - easy to get to several subway stations including Shinjuku. Supermarket right next to the hotel and places to eat close by too. Safe interesting area with easy access to rest of Tokyo. The room was good and fairly spacious by local standards. Well equipped kitchen meant we could cook and a useful washer dryer. Always very clean and towels changed every day. Great for families as all four of us could stay in one room and not feel too cramped. the only thing I can think of is that you could of had a kitchen sponge to clean dishes & kitchen bench. Great location. Accessible. Friendly staff. Amazing view. Great for family. Everything you needed. Recommend to all. Great western style hotel. The showers were great and easily fit a 6’4 person. Beds were comfortable and the small gym was enough to get by. Also free laundry is available in the basement. The room is spacious and clean. They provide a cellphone that having useful information for tourist. I think this is a good place to stay and very tourist friendly. Very clean room. Spacious Junior suite for a family of four. Staff spoke English and were super helpful. Convenience store next door and Italian restaurant underneath. 150M to train station. One of the humidifiers were noisy. If there was one in the smaller room, it would've been better. There was a lot of refreshments prepared and air humidifiers. The bathroom was well-stocked. The beds were plentiful. Nothing. It was a very pleasant and very comfortable stay. So far we had nothing to complain about. The staff were very kind, approachable and helpful. We were a family of 5 and the room was more than enough for us. We stayed 8 days and they provided us a daily cleaning. (Btw, I booked the first 3 nights to another booking company). It was a very comfortable and convenient stay all throughout and the hotel was very clean and room smells nice. We have a washing machine/ dryer inside the room, which was one of our requirements during travel. The shower (with tub) & toilet (washlet) was big and modern. The bedroom was big and the beds were very comfortable. The location was very convenient, it has 2 train station nearby and 1 station away to Shinjuku Station. Too many convenient stores, drug stores and restaurants around. Highly recommended and will stay again when we return in Tokyo. Thank you. Although the apartment comes with a washer and dryer combo, those who are from the US or countries were a wash takes about an hour and a dryer takes another hour will be surprised to find that it takes almost 8+ hours to do a load in the apartment and that the clothes will come out 80 percent dry as well as super wrinkled. B fast , good only for 2 days as food are Almost The same everday ‘ Improve more on IT and Its a real tumbs UP !